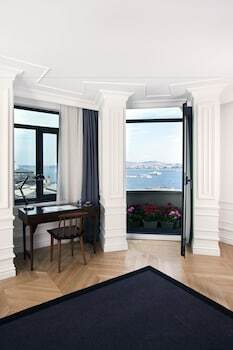 With a stay at Karakoy Rooms, you'll be centrally located in Istanbul, within a 10-minute drive of Dolmabahce Palace and Galata Tower. Featured amenities include express check-in, dry cleaning/laundry services, and a 24-hour front desk. A roundtrip airport shuttle is provided for a surcharge (available 24 hours), and free self parking is available onsite. With a stay at My Home Garden in Istanbul (Kadikoy), you'll be within a 15-minute drive of Maiden's Tower and Florence Nightingale Museum. A roundtrip airport shuttle is available for a surcharge.